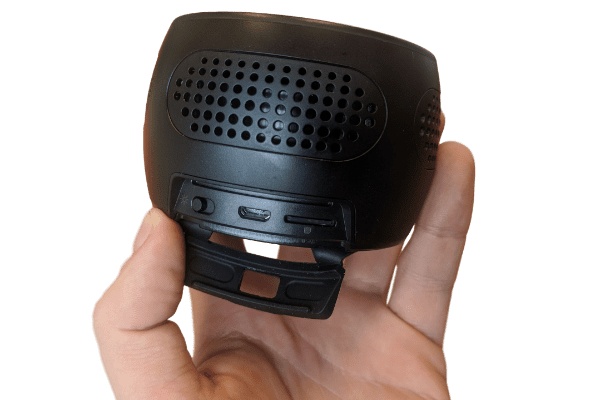 This is a working bluetooth speaker that has a WiFi and IP enabled spy camera and recording system cleverly concealed within. Full HD quality video footage with superb audio recording all make it perfect for covert room surveillance wit the ability to remotely and control from afar. All parcels are discretely packaged and addressed with no mention of Spy Equipment UK or Spy branding. All parcels must be signed for and can't be left at a property without a signature. Fitting a new type of everyday device into a room setting in order to obtain covert video and audio surveillance is an ongoing challenge. The Bluetooth Speaker Camera system certainly fulfils the criteria because it is an unobtrusive item that can fit easily in a modern room setting, with the bonus that it will function perfectly as you would expect a standard bluetooth speaker should. Want to watch what is happening live? This unit has both WiFi and IP capability so by using an app on your Smartphone or tablet you can watch streamed video, with audio from the other side of the world if you wish (requires local router link-up). Alternatively you can remote control, stream video and setup the camera system without need for a router from a distance of up to 50 metres. You can download recorded video, set the time to match that on your smartphone or tablet, start/stop recording, format the SD card and even hide the SSID so nobody else can detect your covert camera unit. The video recording memory storage is a micro SD card system that has a maximum capacity of 32GB (a 16GB card is included as standard). Although it is good to be able to view ‘live’ footage, it is not always possible to watch as it happens, so probably one of the most important features of a spy camera system must be the ability to record video footage in response to motion in front of the camera lens automatically. The iBluetooth Speaker Camera uses ‘through the lens’ monitoring technology to achieve this aim and also records watermarked time and date on the video surveillance footage, thereby making this product perfect for gathering a catalogue of video footage suitable for evidential purposes (time/date can be switched off). The bluetooth speaker has an internal battery that is capable of powering the camera system for up to three hours (with speaker not in use). Alternatively, it can be connected to a mains using the included mains power supply for longer deployments. Many camera systems struggle in subdued lighting conditions, but the 0.1Lux 78º wide angle camera used in this device can work exceptionally well in low light conditions, albeit not in complete darkness, but there are not many circumstances where this would be absolutely necessary. The design of this Bluetooth Speaker is fairly generic, so it physically should not grab any real attention. The operation of the device is totally discrete in that once setup, there are no flashing lights, sounds or other alerts that would give rise to suspicion in any way that the speaker is anything other than what it appears to be. And the speaker capability is certainly not sub-standard for the size of the unit, so it can be used as a speaker during periods when it is not being used for video capture, thereby completing the disguise. This device is versatile inso many way. It morphs into both home and office environments, it can be used as a normal bluetooth speaker, but the inbuilt self-contained DVR system is capable capturing 1080p video evidence for later watching. Alternatively, used in the capacity of a live video monitoring, it can be remotely monitored on iPhones and Android Smartphones and tablets. Such an array powerful features certainly ensure that the Bluetooth Speaker Camera is worth serious consideration. Whereabouts is the spy camera located? 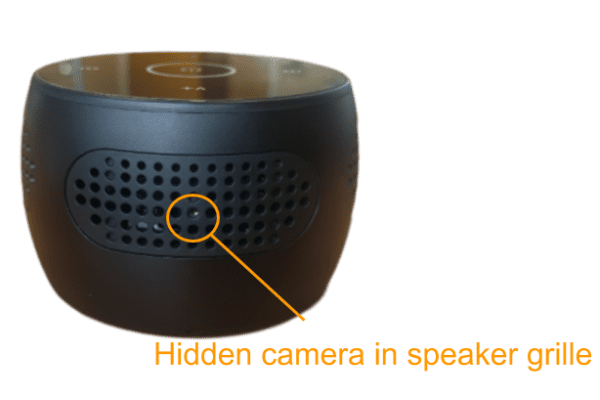 If you consider placing the bluetooth speaker on a desk or a table then the camera is in a natural position to overlook a room through a grille in a vertical face. Does the unit actually work as a bluetooth speaker. Can it broadcast music/sounds into the room? Yes, the system is able to provide really quite a decent remote speaker controlled from your Apple or Android device. Does the camera system have any giveaway signs when motion activated recordings are started and stopped? 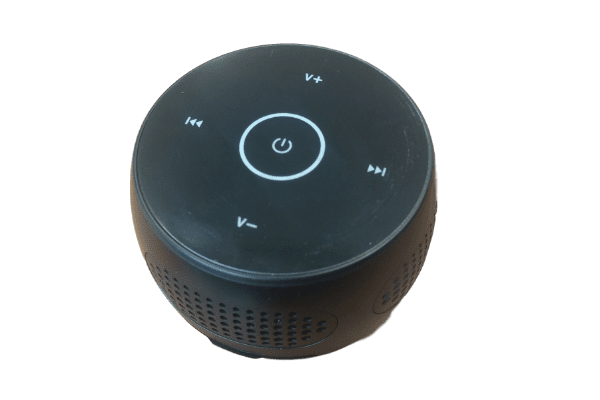 The Bluetooth Speaker Camera gives no audible or LED light notifications whatsoever, so there is nothing that will alert unwanted attention. How do I know whether the camera is recording the right part of the room? The camera is a wide angled camera model which should provide a decent area of coverage, however to check it then you can view live what the camera is seeing through your smartphone app. Where would I place such a device? This really is down to your own personal choice. 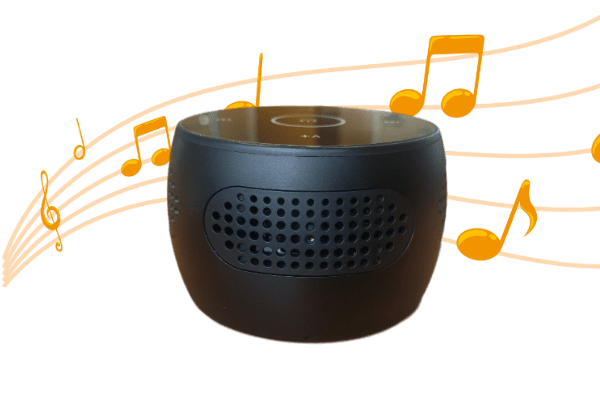 Bluetooth speakers are commonly found on desktops in the office or at home in the kitchen or maybe in the bedroom in some circumstances. Does the unit also record decent quality audio? Yes, the device has an in-built microphone that will easily capture and record clear audio onto the video footage up to a 7 metres radius. You will need use of a computer with speakers attached is required if wishing to playback recordings with the audio. or you can playback through your iOS or Android device. To take full advantage remote live video surveillance, you will need an Android Smartphone, iPhone, Android Tablet or iPad that has an Internet connection.